Given the considerable amount of human storytelling recorded since writing was invented and given how much people rely on plants to live, one would think that the Wikipedia category for “mythological plants” would offer a multitude of tales about half-plant, half-man hybrids that each amaze and delight. One would be wrong. As of now, this particular Wikipedia category offers only five pages. Sure, more can be found in the “sacred trees” and “dryads” subcategories, but really? Even disregarding not-so-mythological plantmonsters like Charlie Brown’s kite-eating tree and Swamp Thing, I’m a little surprised that more stories about monstrous plants haven’t been mentioned frequently enough to at least warrant a dozen entries. I’m not saying that the wikiskipping that lead me to this page was for nothing, however, because the slim pickings still offer some gems. Like the Vegetable Lamb of Tartary. 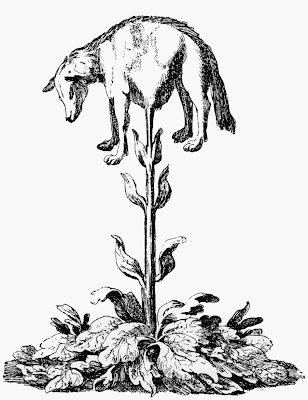 Everything in that name means exactly what you think it would: The Vegetable Lamb of Tartary is a mythological plant that people believed grew sheep as fruit. (And I swear I’m not making this up.) In medieval times — back when people thought ghosts and wet air caused disease, it should be noted — this plant supposedly existed. 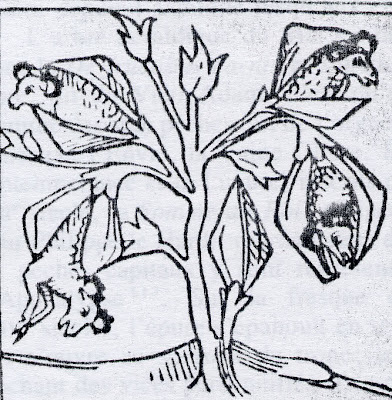 The sheep-fruit looked and acted much like the non-vegetable-derived sheep, only they were attached to their herbaceous hosts by an umbilical cord. The sheep-fruit grazed as they pleased until they ate all the greens reachable within the umbilical cord-mandated radius, at which point both sheep and host plant died. 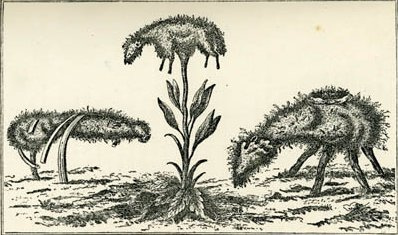 To further illustrate the point, I will reproduce the passage Wikipedia offers from Henry Lee’s 1887 book The Vegetable Lamb of Tartary, which, given its publishing date, I hope to god is a history of the myth and not an explanation for how this sheep-plant could exist. Wikipedia is unclear. Lee describes the legendary lamb as believed to be both a true animal and a living plant. However, he states that some writers believed the lamb to be the fruit of a plant, sprouting forward from melon-like seeds. Others however believed the lamb to be a living member of the plant that once separated from it, would perish. The vegetable lamb was believed to have blood, bones, and flesh like that of a normal lamb. It was connected to the earth by a stem similar to an umbilical cord that propped the lamb up above ground. The cord could flex downward allowing the lamb to feed on the grass and plants surrounding it. Once the plants within reach were eaten, the lamb died. It could be eaten once dead, and its blood supposedly tasted sweet like honey. Its wool was said to be used by the native people of its homeland to make head coverings and other articles of clothing. 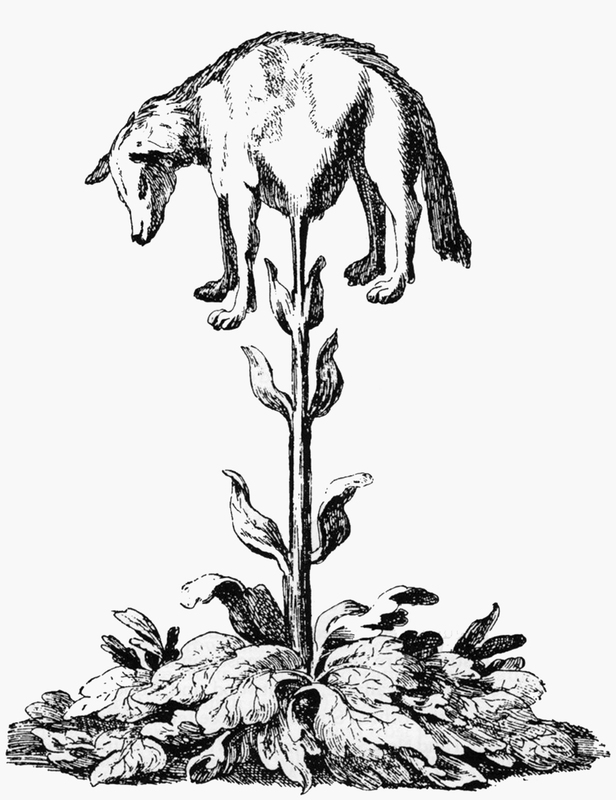 The only carnivorous animals attracted to the lamb-plant (other than humans) were wolves. Decidedly unintelligent design. MEDIEVAL PEOPLE: THIS IS WHY MIDDLE AGE FOR YOU WAS SEVENTEEN. But it did not stop with sheep. 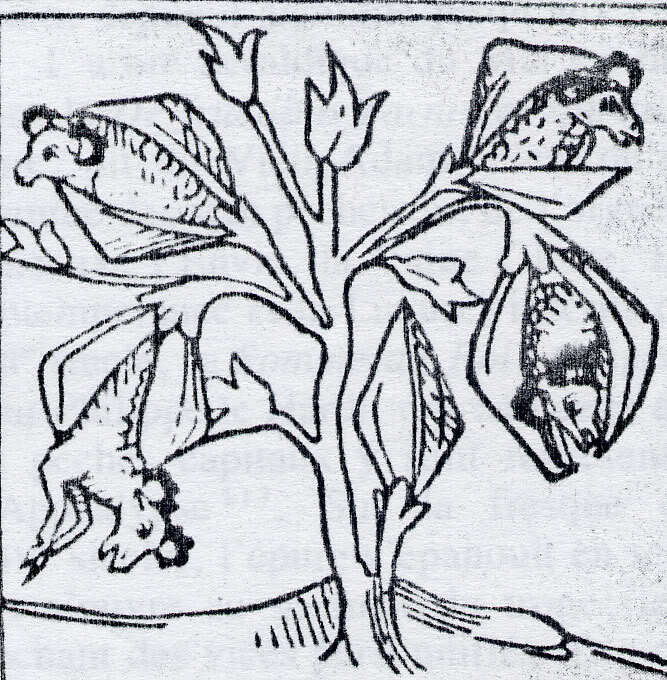 Goose-plants also were believed to exist. The Minorite Friar Odoricus of Friuli, upon recalling first hearing of [the lamb-plant], told of trees on the shore of the Irish Sea with gourd-like fruits that fell into the water and became birds called Bernacles. He is referring to the legendary plant-animal, the Barnacle Tree which was believed to drop its ripened fruit into the sea near the Orkney Islands. The ripened fruit would then release “barnacle geese” that would live in the water, growing to mature geese. 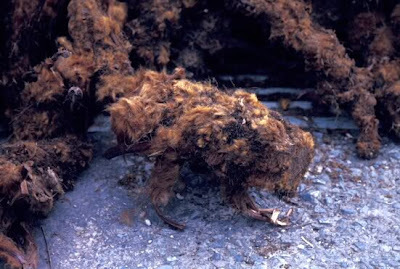 The alleged existence of this fellow plant-animal was accepted as an explanation for migrating geese from the North. The presumed explanation for these beliefs (that, by the way, make me so grateful to have been born in 1982) goes back to two sources: a desire to explain the existence of cotton (because watching cotton grow apparently couldn’t cut it) and the fern Cibotium barometz, the species of which name is a Scythian word for “lamb.” The plant’s rhizome, when stripped of its leaves, has a certain wooly appearance that sort of looks like a little lamb. See? How anyone stretched these sheep-looking husks into stories about sheep-fruit, much less got anyone else to believe them, boggles my twenty-first-century mind, but then again I shudder to think how they’ll laugh at us in the future. (“To think of it! Back in the late twentieth century, people thought the computers would fail and the world would end! The fools! And now we’re all married to computers!”) Honestly, I would rather that the Vegetable Lamb of Tartary were real, but just like how it’s not witches who sour our butter and demons who cause our nocturnal embarrassments, life is dull and nothing is fun. I have a lot of sympathy for the ancients. How were they supposed to know that the camelopard is real but the unicorn is not? I mean, the unicorn? If you ignore the bits about virgins and immortality, that sounds way, way more plausible than a platypus or even an elephant. It's a horse with a horn. How did that turn out to be fake but not the zebra or the panda? Plus you've got dinosaur bones, which ought to have proved that dragons are real. The whole things a mess. I feel really sorry for those guys. They did the best they could with the info they had.